Unlike in other countries of Eastern Europe where the opposition to communism came in the form of single mass movements led by charismatic leaders such as Václav Havel and Lech Wałęsa, in Hungary the opposition was very fragmented, brought together and made effective only by the authoritative, significant but relatively unknown Árpád Göncz, who subsequently became Hungary’s first post-communist president. 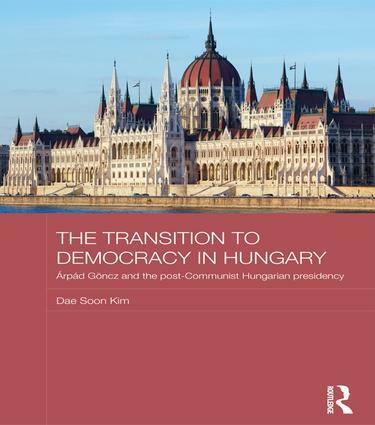 This book charts the political career of Árpád Göncz, outlining the outstanding contribution he made to Hungary’s transition to democracy. Drawing on a wide range of sources, including archives and interviews with Göncz himself and others, it shows how Göncz, unlike Havel who was a playwright and whose political role was largely symbolic, was a campaigning politician all his life, consistently advocating social democratic, but not communist, values. Imprisoned from 1956 for his participation in the 1956 uprising, Göncz was a highly-effective political operator in the transition period around 1989, and as president wielded real power effectively. As politics in Hungary are again marred by deep division and fragmentation, Göncz’s success in bringing rival groups together is even more pronounced.